I've had Flourishes' Lace Edges stamp set for a little while now and was so happy to ink it up and play around with it earlier this week. And play I did! I have two cards to share today and at least two more that I'll share another day, since I didn't quite get them all finished. For this first one, I used a single lace scallop image to create a dramatic black-on-ivory background. I began by placing a Spellbinders circle in the lower right, then repeatedly stamped the scallop around the circle. I stamped a few more lace scallops to fill in the gaps, then accented with some black Kaiser pearls. For the focal point, I stamped the butterfly from Fanciful Flourishes, trimmed it out and placed it on the black circle. (It's hard to see in the photo, but the image comes in two parts, a solid background, which I stamped in Soft Sky, and the patterned butterfly, which I stamped in black). A little striped ribbon, some ivory seam binding, a strip of Swiss Dots embossed Soft Sky, and a punched bottom border finished this off. For this next one, I created a scored background using my Scor-Pal, then filled in each diamond with a lace circle image from Lace Edges. I dotted each score-line intersection with a white gel pen for a little pop. The two hearts are from Fanciful Flourishes. They've been stamped in two parts as well, the solid heart in Stampin' Up Soft Sky and the filigree heart in Papertrey Smoky Shadow. White satin ribbon, a lacy punched border and bling finish off the bottom, and at the top I placed a little sentiment cluster. Thanks so much for stopping by today, and I wish you a fabulous Friday and a fun weekend! Both of these cards are stunning! I just love how you stamped the lace...beautiful cards! These are beautiful! I love the b&w combo with a pop of color. ¡Que maravillas de sellos!, pero con tu diseño y detalles han quedado super elegantes, eres una gran profesora para mí. Felicidades. they are both great, but the first one is amazingly beautiful!!! OMGosh, Amy...both of these cards are beyond words! The creative way you used the lace borders set just blows me away! And I love the stamps inside the diamonds and the hearts card as well. AWESOME job, my friend! Awesome!!! Holy moses!! I honestly sit in awe of these! 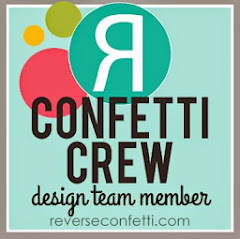 Yet another reason why it is such a pleasure to visit your blog. Seriously stunning work! 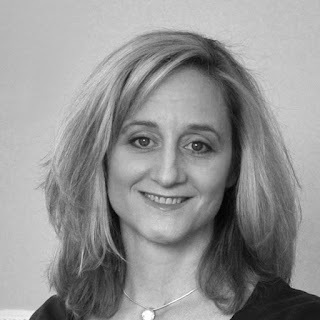 And thank you for the lovely visit you made to my blog. WOW, WOW, WOW - LOVE your first card - amazing!!! The second card is also beautiful, but the first one took my breath away!!! Be still my beating heart! LOL! These are both lovely! I love the color combo! 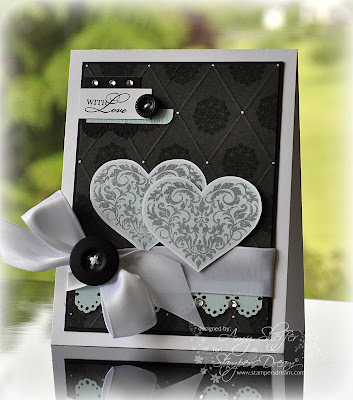 I am really loving the diamond pattern you created on the heart card! ABsolutely beautiful! I love these Amy! So elegant! ***THUD*** Oh My GOSH!!!! Amy these are absolutely EXQUISITE!!!! Love how truly elegant these are in classic black and white!!! OH MY WORD....These are jaw drop gorgeous.. These cards are simply stunning! One day I might be able to make something like that, in the meantime I'll just admire your beautiful work. Stunning, Amy! 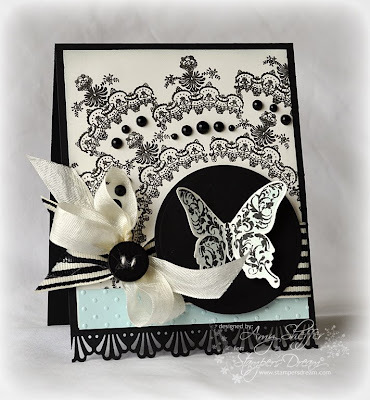 I love the use of black and those lace edge stamps. Beautiful, I especially love that scored background and stamping! Just when I think I've seen all your best cards you come up, once again, with a stunner! You continue to amaze and inspire me on a daily basis! What Color Is Your Coffee Cup?